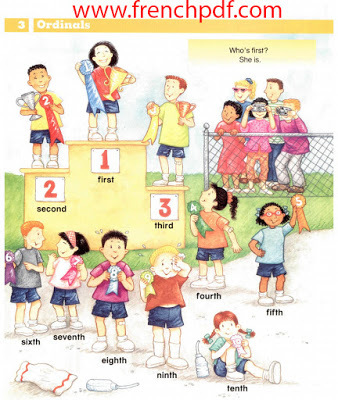 The Let’s Go Picture Dictionary is a full-color, topic-based dictionary for children, designed to complement the seven- level Let’s Go course. The Picture Dictionary presents the words from the Let’s Go series, plus other high-frequency vocabulary, in situations that are universal to children everywhere. 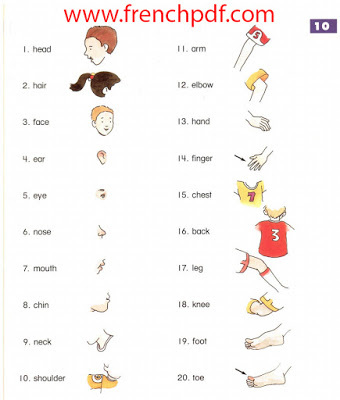 Like its parent course, the Let’s Go Picture Dictionary features a unique question-and-answer approach that helps students develop productive language skills as they build their vocabulary. The Picture Dictionary can be used as a supplement to the Let’s Go series or independently. Either way, the Dictionary functions as a valuable reference guide to English. 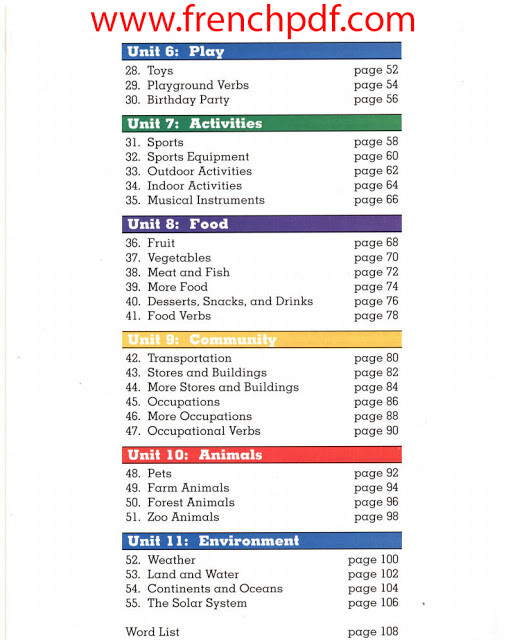 The Picture Dictionary consists of 975 high-frequency vocabulary items grouped by topic. The words and phrases are based on the vocabulary from Let’s Go Levels I -6 and the Let’s Go Starter Level , plus additional topic-based vocabulary. The Cassette: The accompanying Cassette contains all the vocabulary and language patterns found in the Picture Dictionary. All words and phrases are spoken clearly and carefully, but with natural speed and intonation, so students can become accustomed to hearing the vocabulary as it is spoken naturally. – Philosophy and principles : The Let’s Go Picture Dictionary is based on the same principles as the Let’s Go series. From the very beginning, students are encouraged not only to learn the new vocabulary but also to interact with each other using the language pattern provided for each topic. The Let’s Go Picture Dictionary is based on the same principles as the Let’s Go series. From the very beginning, students are encouraged not only to learn the new vocabulary but also to interact with each other using the language pattern provided for each topic. 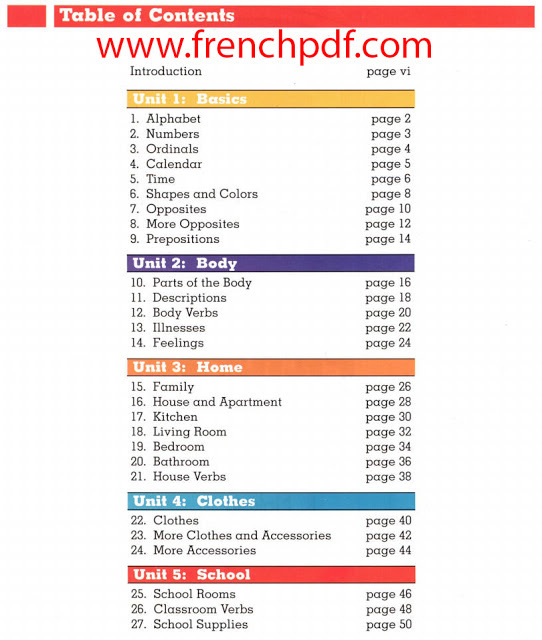 – Organization: The Picture Dictionary covers 55 topics in 1 1 units. Each topic is presented on two pages. 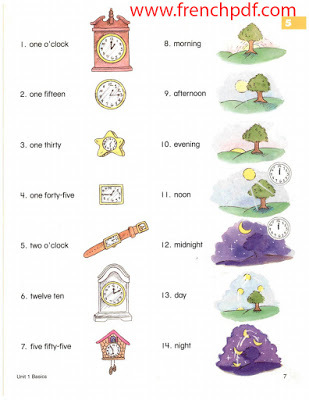 Generally, the first page consists of a scene showing the vocabulary items in context (pictures only). The facing page features the vocabulary items in isolation (pictures with word labels). Certain topics present the vocabulary items in a slightly different format. – Language Patterns: Except for Topics I and 2, each topic in the Picture Dictionary is accompanied by a language pattern that appears in an easy- to-identify shaded box. These patterns provide context for the new words, and function as models for extended language practice. You may occasionally need to modify the patterns, based on the skill level of your students. Wherever possible, language patterns have been simplified to accommodate all the topic vocabulary. However, some language patterns may require alteration (such as changes in article usage, preposition usage, subject-verb agreement, etc.) when other vocabulary is substituted for the model vocabulary. Use these situations as learning opportunities for your students. Encourage them to discuss any required changes to the new vocabulary and/or language patterns. 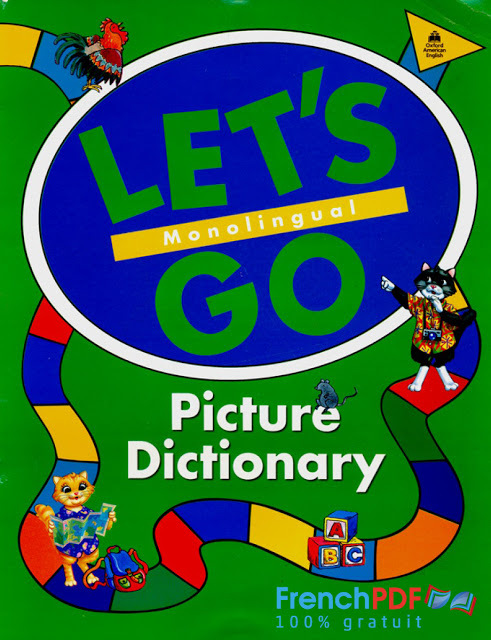 Download Let’s Go Picture Dicitonary Monolingual PDF.